Superior, private, self-contained fully equipped, modern rural getaway on owners 2ha property. A peaceful place to relax and enjoy the countryside of Takapu Valley. Handy to Tawa, Johnsonville and Porirua and only 15 minutes from central Wellington. Check-in is from 2 pm check-out 10am, unless prior arrangements made. This place had everything we needed. It was warm and cosy and the extra effort to grant us a fold out bed for our kids was fantastic. Very clean and presented like a five star hotel room. We loved the use of the tennis court as well. The only thing we would want next time is for the Wellington weather to hold out a bit longer. The first day sun in the morning was beautiful. We are recommending this to all out friends. Its not a long drive from Wellington CBD at all. Beautiful and fantastic place. We will definitely book this place for our next visit to Wellington. I needed some time out from busy work and travel, and this was just a spot, so close to town yet secluded and quiet. Slept so well!!! The cottage is very well appointed and the hosts are super lovely. Definitely recommend. Thank you! Would highly recommend Alan and carol. If you are looking for a place of peace and privacy this is the place to go. Close proximity to shops and supermarket. We thoroughly enjoyed our stay. This was our third stay at the cottage and we love staying here every time. There's everything you need - kitchen facilities, plenty of towels and beautiful sheets, lovely bathroom, comfortable bed and living room. And most importantly, wonderful peaceful nature that is only 10mins from the city. We look forward to staying here once again. We had a lovely stay at the cottage, it is very peaceful and the view is fantastic. Unfortunately it was raining so we didn't get to play tennis as we had hoped. Very easy to get onto the motorway and into Wellington in 15 mins. Many thanks to Carol and Alan for sharing their lovely hideaway. 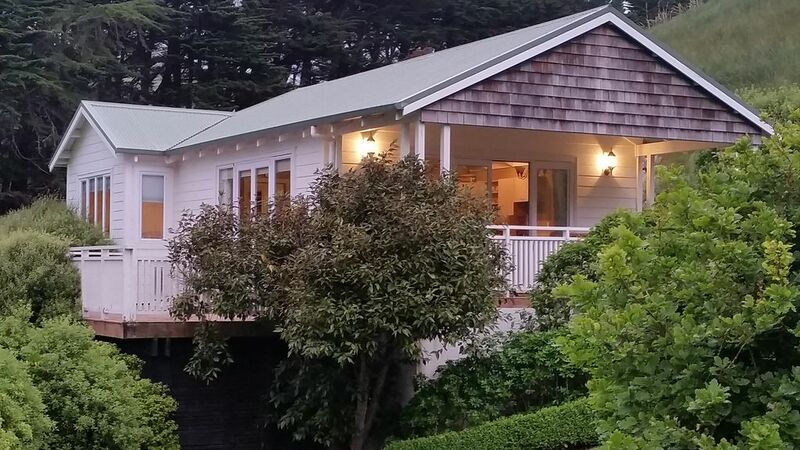 The cottage is well appointed and located in a quiet pastoral setting yet very close to Wellington and the Kapiti Coast, an ideal base from which to explore the region.